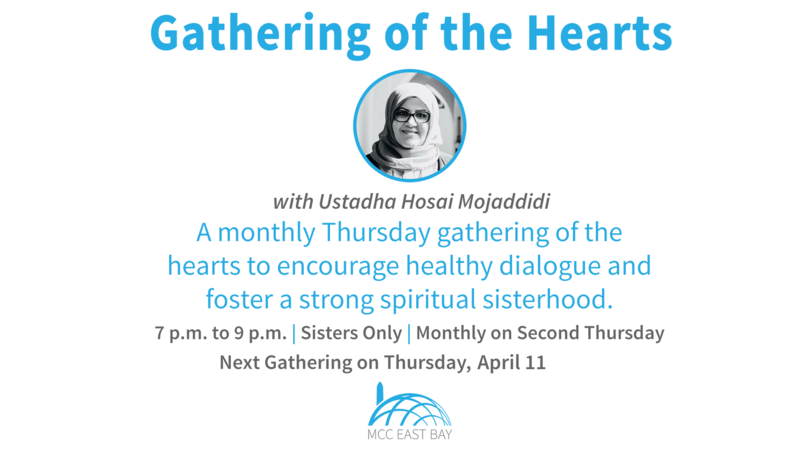 Join us for ur monthly gathering for women (ages 18+) to commune, reflect, discuss, and gain strength and support from each other. We will talk about spirituality, self-development, relevant and contemporary topics, as well as issues related to the various roles and responsibilities of Muslim women in today’s world. This is a discussion-based group and participation is not only encouraged but it is required!